South Africans and Zimbabweans woke up to a scary sight after the river that borders the two nations, Limpopo river, turned blood red overnight. 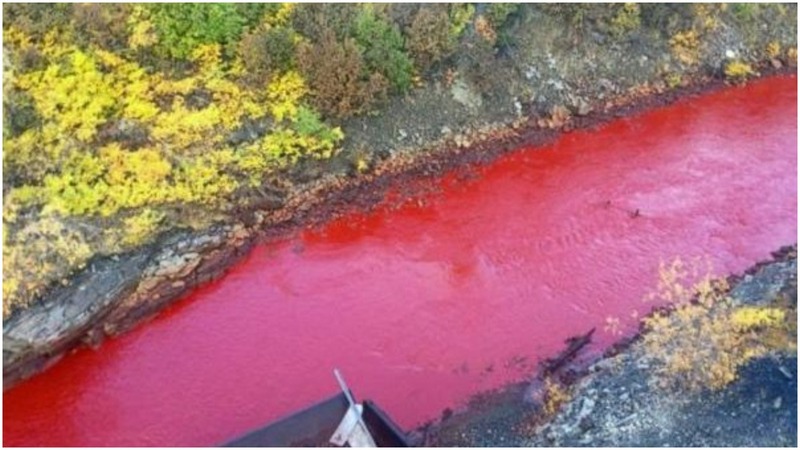 Startled cross border travellers have been posting photos of a local river that has mysteriously turned blood red. Photos published on social media appear to the show the Limpopo river flowing with blood red water. South African authorities have yet to establish a reason for the river’s unusual appearance, but local people quickly linked it to witchcraft which is rampant in the area . Some suggested the color was being produced by some sangoma’s in the area who were doing their rituals while others said it was a sign to Zimbabwe that blood will be shed in the coming weeks. The posts prompted Zimbabwe’s Environment Ministry to respond, issuing a statement announcing that it is investigating. Reached by Live Monitor Satire News, the ministry declined to comment.